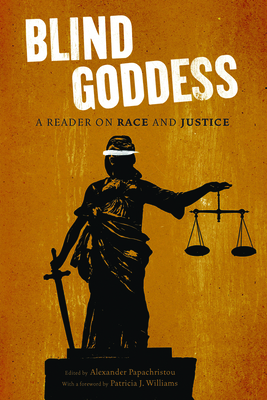 Blind Goddess brings together the most significant writings of practitioners, professors, and advocates to make sense of what is perhaps the nation's most astonishing and shameful achievement: the highest per capita incarceration of its citizens anywhere in the world, compounded by the shockingly disproportionate imprisonment of poor people of color. Although there is growing awareness of the huge fiscal cost of mass incarceration, the moral, human, and social devastation of racially skewed law enforcement remains largely unrecognized. The experts and scholars in this collection elucidate the impact of race on each stage of the criminal process, from policing and prosecuting to jury selection, sentencing, prison conditions, and opportunities to reenter society. Including selections from critically acclaimed New Press books such as The New Jim Crow, Let's Get Free, and Race to Incarcerate, alongside passages from other leading contemporary works, from Amy Bach's Ordinary Injustice to Robert Perkinson's Texas Tough, Blind Goddess provides easy access to a wealth of cutting-edge analyses and solutions. An essential volume for the general reader, Blind Goddess is also an ideal reality-check for students of criminal law. Alexander Papachristou began his legal career representing prisoners and went on to practice corporate law both domestically and internationally. He now leads and advises social justice organizations focusing on human rights, education reform, and socioeconomic development. Patricia J. Williams is the James L. Dohr Professor of Law at Columbia University and writes the monthly column "Diary of a Mad Law Professor" for The Nation. The author of four books, she is a recipient of the MacArthur foundation "genius" grant. They both live in New York City.